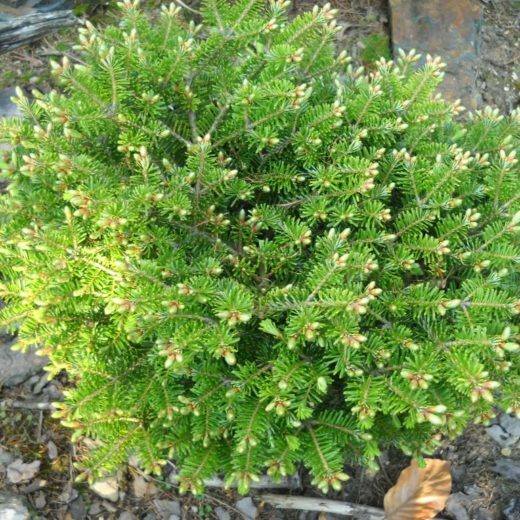 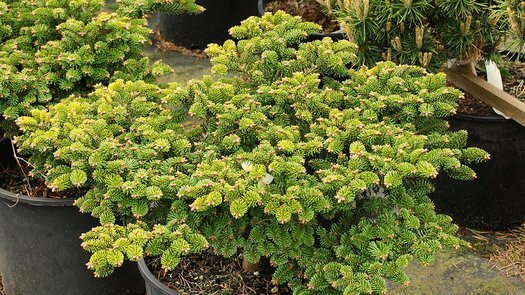 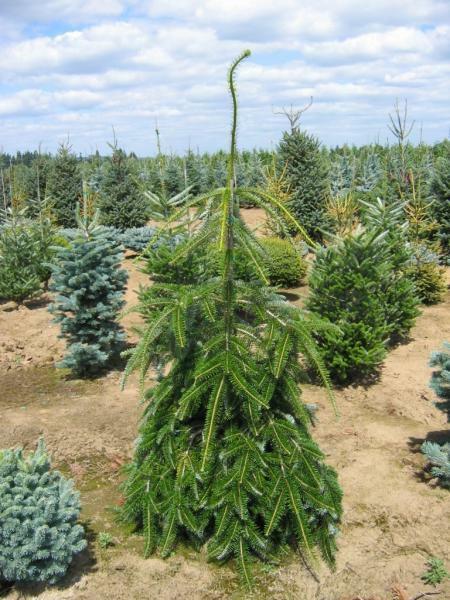 This attractive, slow-growing European White Fir has a distinctive horizontal habit with compact branches spreading out in low, dense layers. 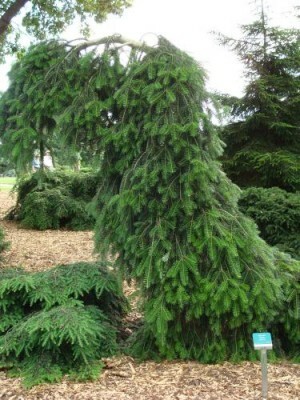 Shiny green needles with silvery undersides cloak the silver-barked branches and give the plant a refined, classy look. 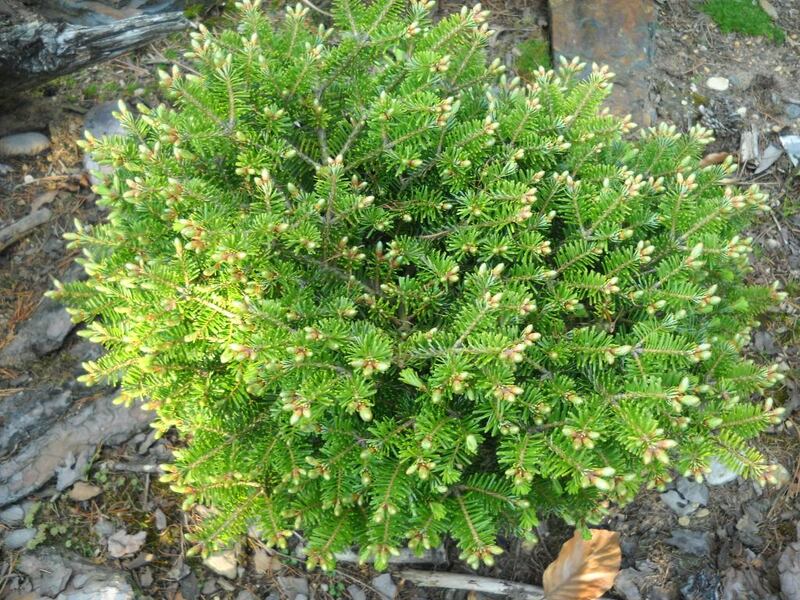 Soft, new spring growth and dainty tan buds add to its year-round interest.